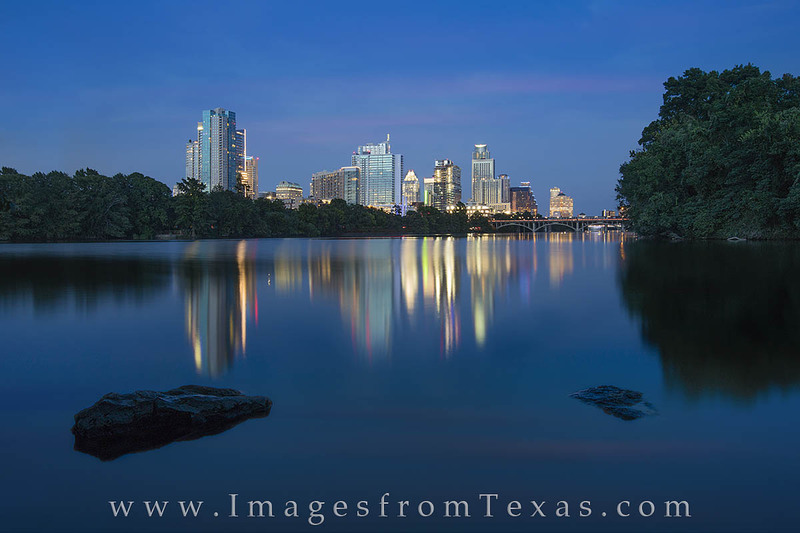 With a glimmer of pink the late evening sky, this long exposure shows Lady Bird Lake with the Austin skyline shining in the distance. Known as the blue hour, the time well after sunset shows the sky as a deep blue. Photo © copyright by Rob Greebon.